After drinking Twilight, a summer ale brewed by Deschutes, Shakespeare’s Sonnett 18 seemed the most fitting way to toast this summer darling. We set the stage for our research. The Head (wearing her summer hat of rosemary — not to be confused with her Jimmy hat) watched over our work while Big White Bird by Rusted Root played. It was a beautiful day. Flavor: We can only describe this brew as “smoove”. Heaven on earth. It is fresh, not hoppy, ever so slightly sweet (just a hint of sweetness, nothing weird about it). For me, Twilight is a beer much like summer, full of hope, promise, and fun. It doesn’t disappoint. 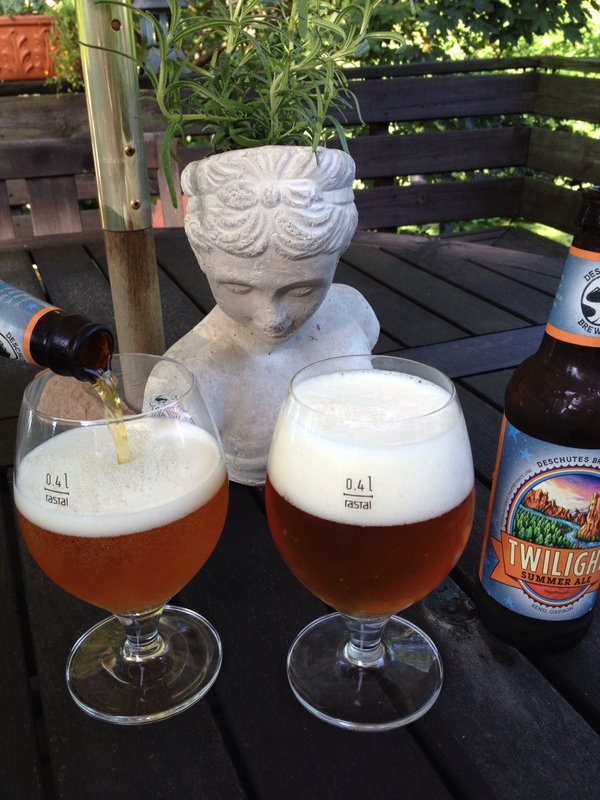 For Jimmy, Twilight is the perfect summer beer. He sums it up this way: “Have a couple of Twilights in the daytime and you’ll be just fine”. THE MEEK SHALL INHERIT, WELL, SOME PRETTY DULL BEERS.